Growing up, one of my favorite things to eat was my mom’s homemade banana bread. She would always make it in double batches and I loved eating it both fresh out of the oven and cold from the fridge. Either way, it was always a hit with us kids. 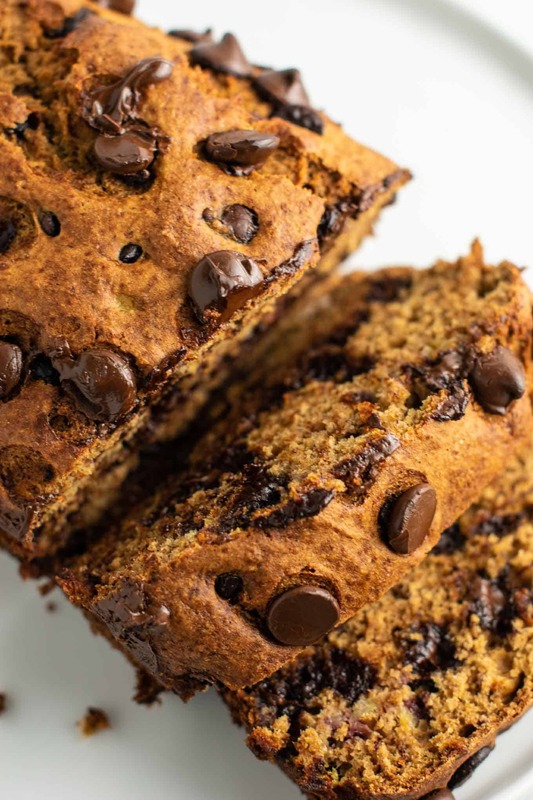 My new favorite way to enjoy banana bread these days is by eating a slice of this Whole Wheat Chocolate Chip Banana Bread! I’ve always been a bread addict, and there’s nothing more delicious than a slice of moist, thick banana bread! 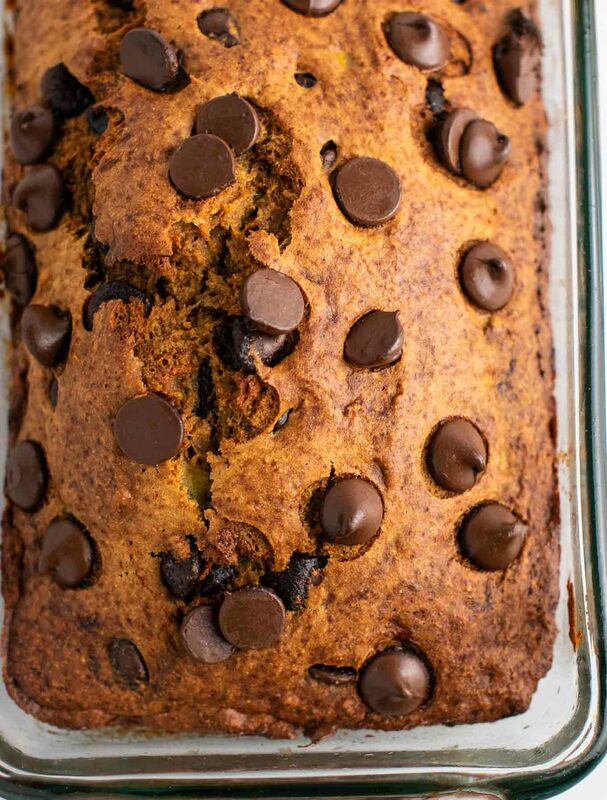 This banana bread is one of my absolute favorite recipes. It’s so simple to make, and only takes a few minutes to throw together and put in the oven. 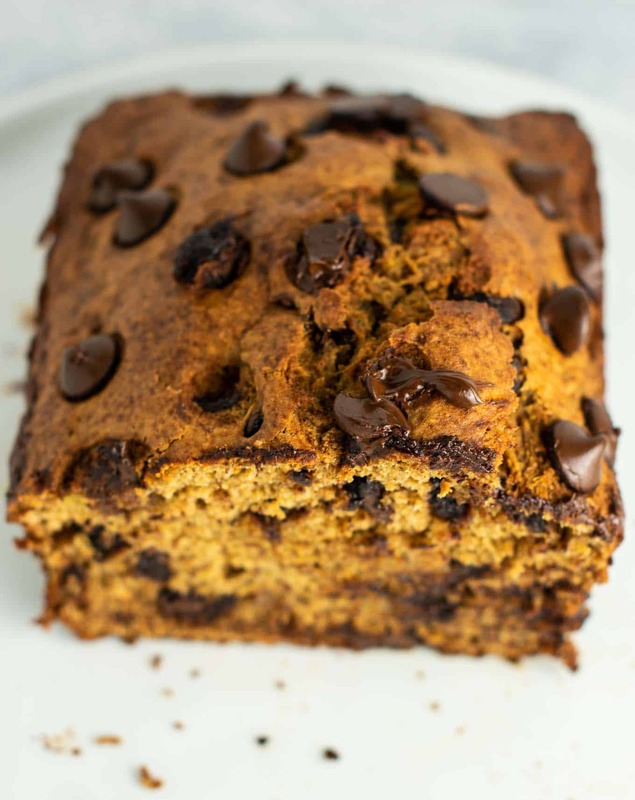 This recipe is thick, chewy, and decadent, all while being secretly good for you! I use applesauce in place of oil for this recipe. This lightens up the calories but doesn’t affect the taste at all! Applesauce is one of my favorite baking hacks. 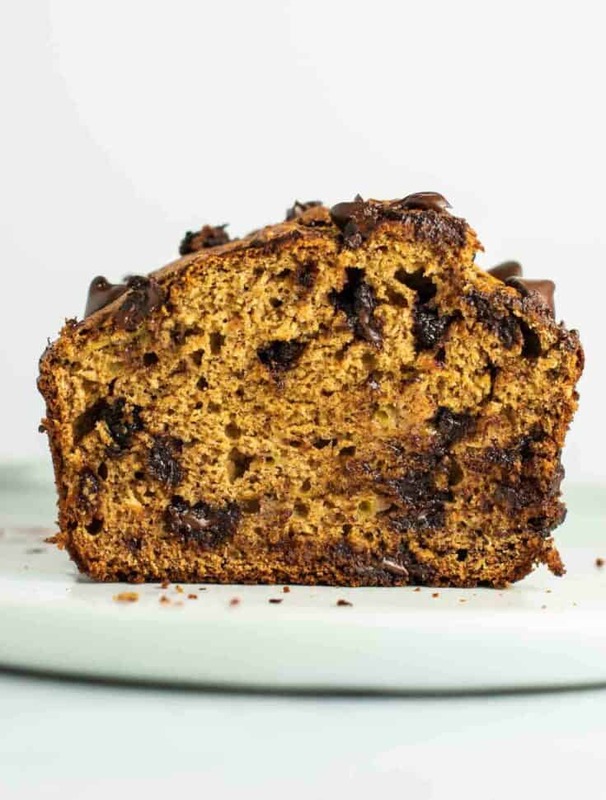 One bite of this banana bread will send you into food heaven! 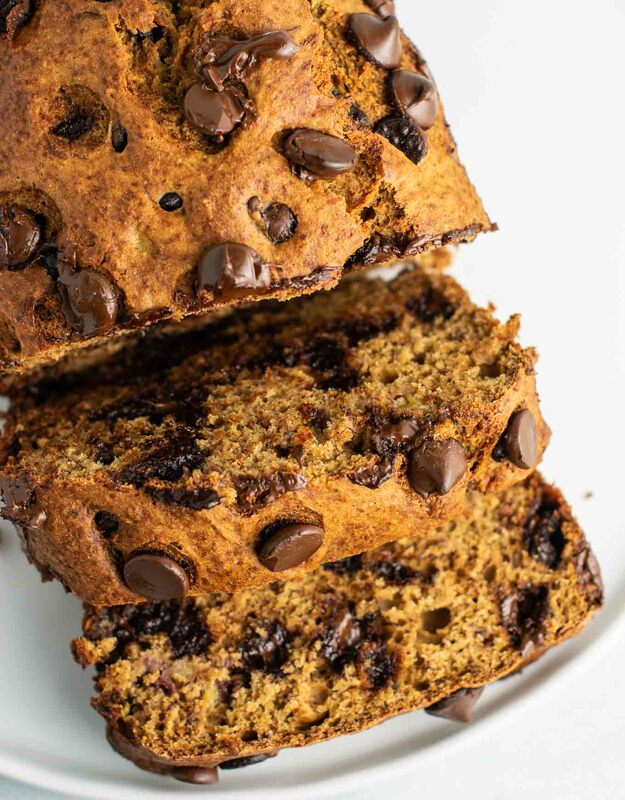 It’s naturally oil free and dairy free, and much lower in sugar than other banana bread recipes. You would never guess this by how amazing it tastes! Make this for an easy grab and go breakfast or snack. Thanks Liz! It’s sooo addictive!! I made these today! I made muffins instead of bread (done about 25 minutes). They turned out great. Thank you!